Branding concept for a food box project featuring goods from local farmers. Farmer's are highlighted in a menu style format and recipe cars accompany each box of food, incorporating their ingredients. On the left, a sample from my studies in 17th-century typesetting. On the left, an excerpt from a one-off book of original poetry by Michael Minkowski titled Poems for Debra. 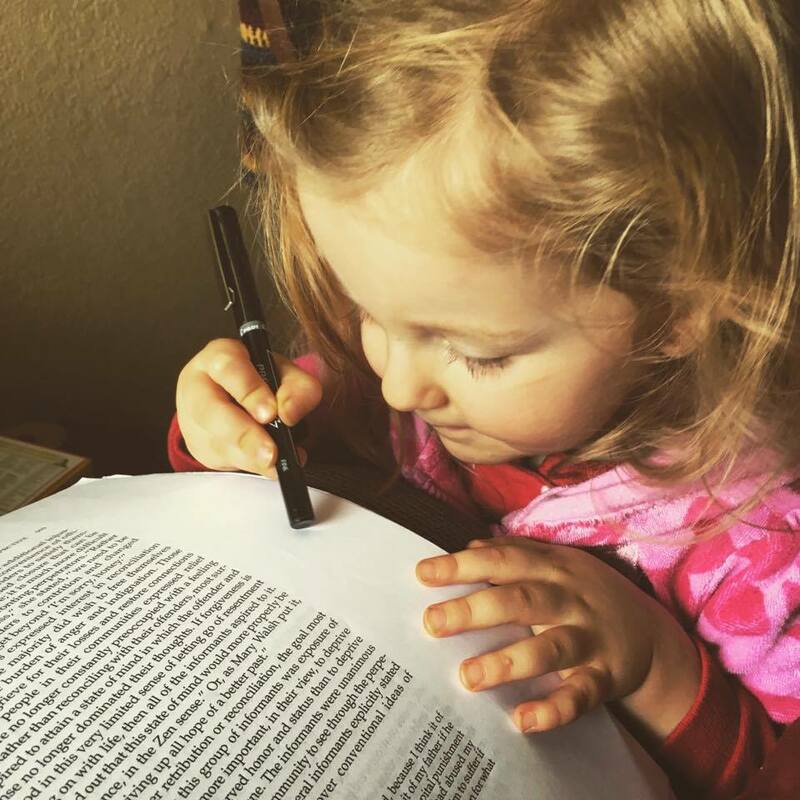 This is a photo of little Madrona helping copy edit a manuscript. Casandra Johns is the lead editor at House of Hands and sometimes works with other small presses as well. If you would like to inquire about hiring a copy editor for your next project, please get in touch. Watch Them Grow is an herbal gardening primer for children featuring block prints and activities to accompany each plant. Hand-pulled prints of the original Magus tarot cards which accompanied the first 100 copies of Numen Naturae: The Magician's Wand.